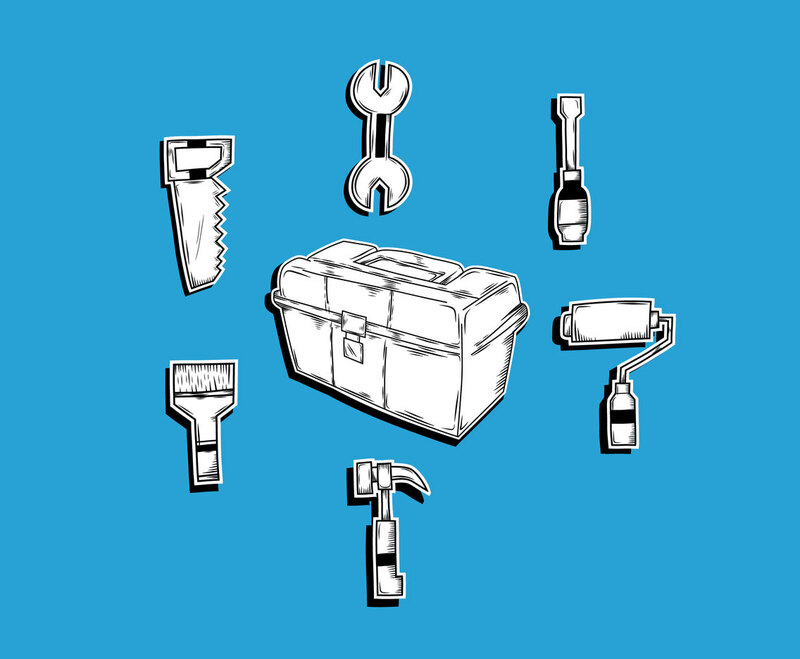 This vector illustration set contains several tools for a builder or construction worker. You'll find a toolbox, screwdriver, hammer, spanner, paintbrush, paint roller and a saw. Illustrated in sketchy style and black and white color, you can easily add one or more vector element in your print design layout such as business card, flyer or brochure especially if your profession is related to building construction.